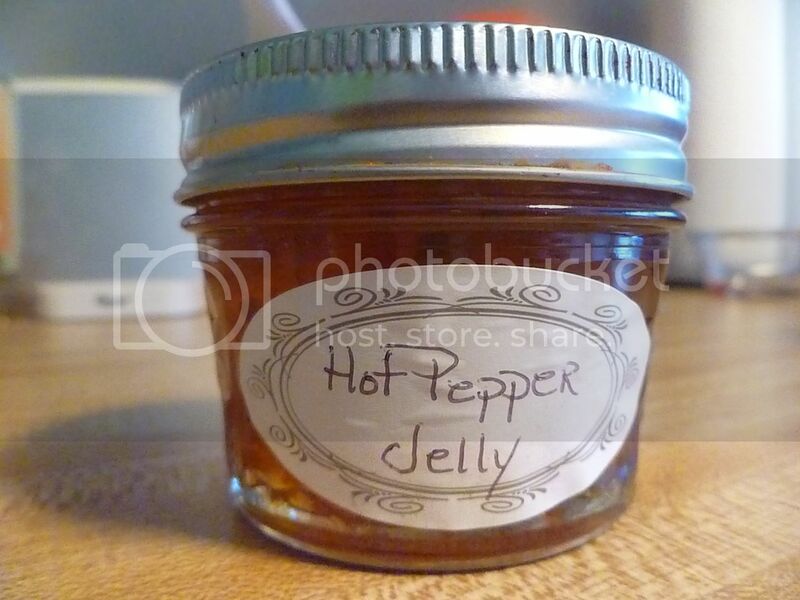 I recently became a fan of pepper jelly. I never knew what to make of it before. But then I was given a couple jars and I learned that it's delicious! A buttery cracker with some cream cheese and a dollop of pepper jelly--yum. 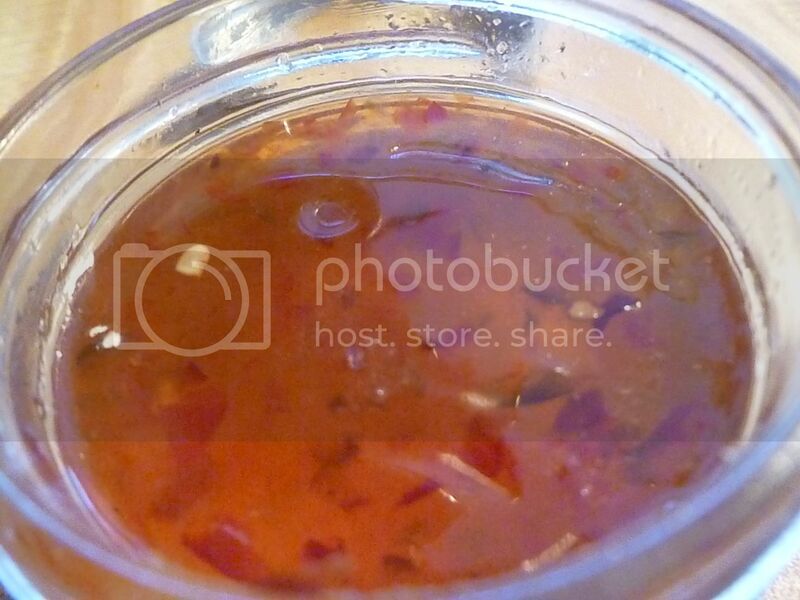 But I had more pepper jelly than crackers I wanted to eat (seriously, they're good, but it's the new year, right?) 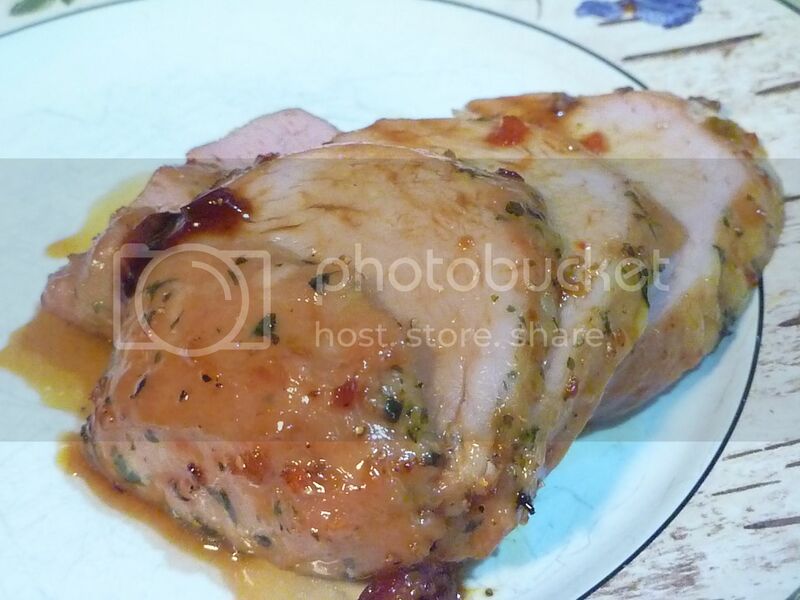 I also had a pork roast that needed cooking. So I thought, why not cover it in a pepper jelly glaze? It worked out really well, and I got another recipe for a weeknight meal. I used the whole 4-ounce jar. 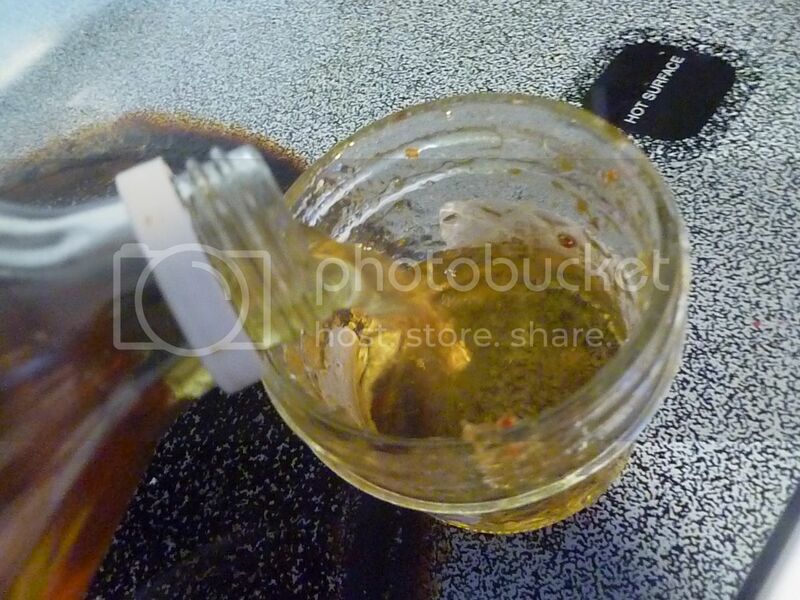 I emptied the contents into a small sauce pot. 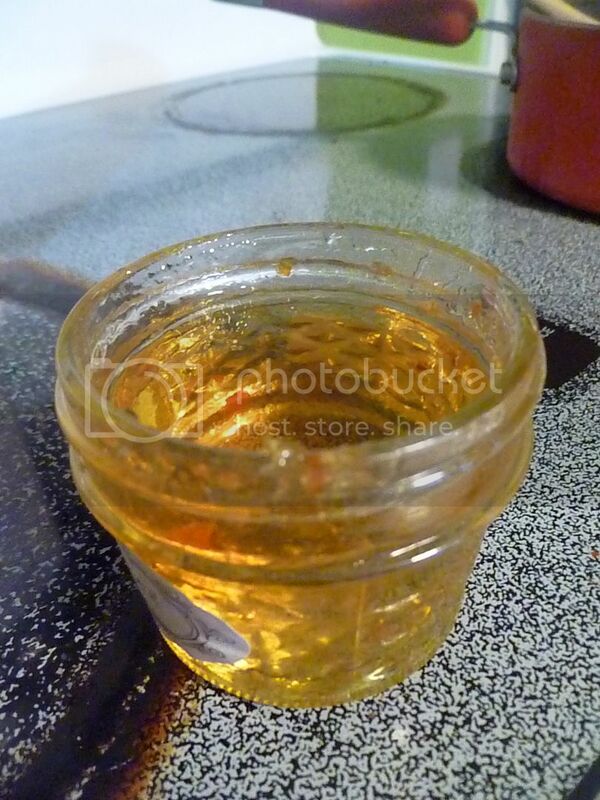 Then I used the jar to measure an equal amount of apple cider vinegar. And again, with regular apple cider. Great measuring tool here! I always save my jars. Even if I'm not planning on canning anything soon, they're great for storing dry goods like pastas and beans, or using for bowls or glasses for The Kid. 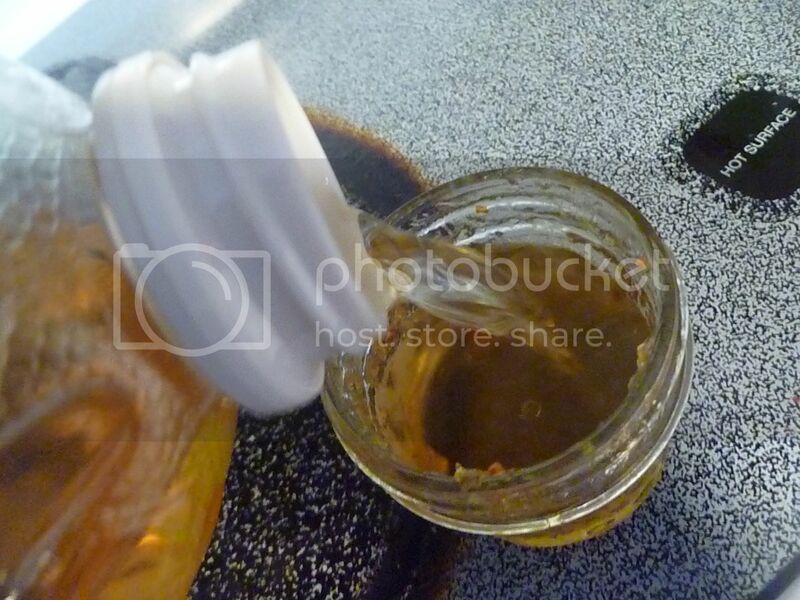 Pour it all into the sauce pot. Turn the heat on medium, to melt down the jelly. 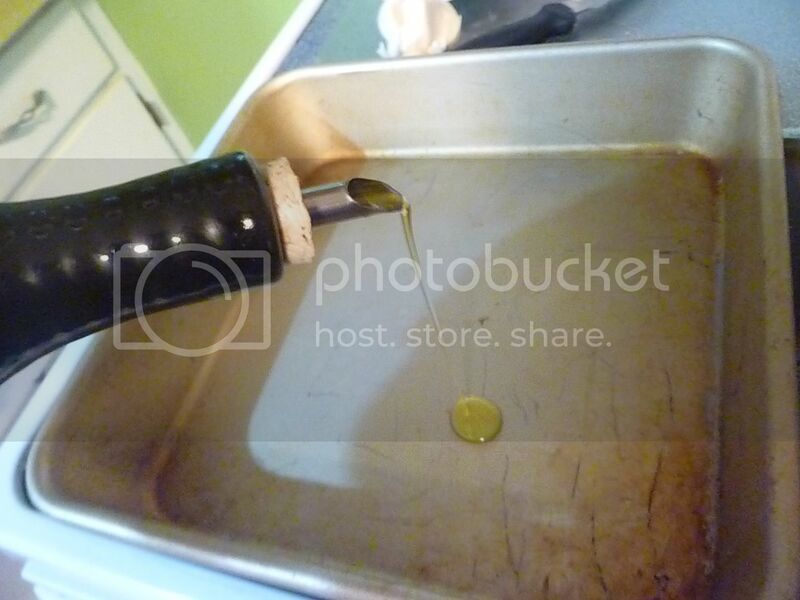 Let it bubble for a few minutes, then remove it from the heat. 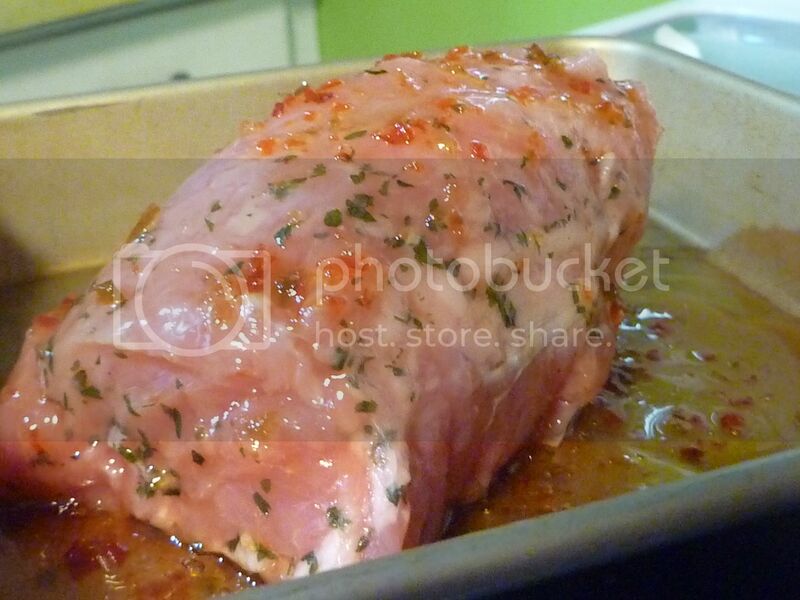 Once the glaze is ready, you can prepare the pork roast. These pre-seasoned ones were on sale, so I bought one. And no, I have no idea what "roast" flavor is. 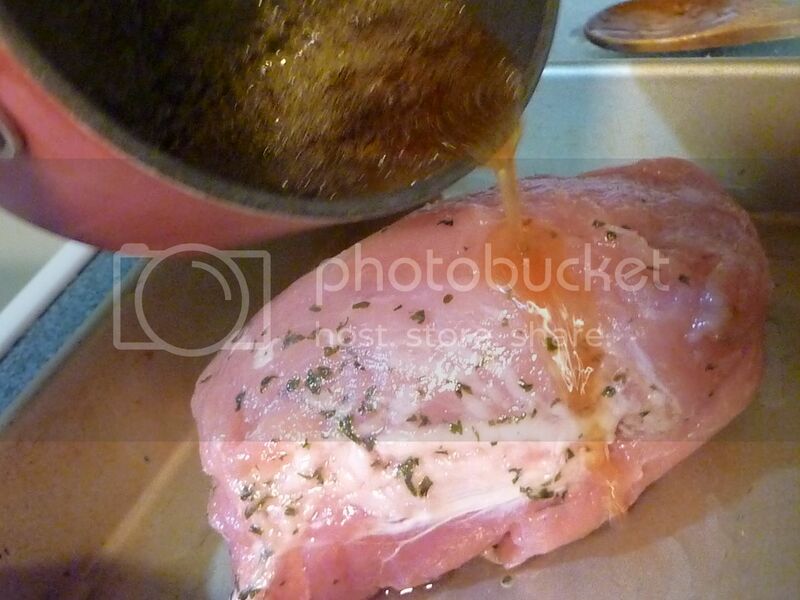 Track down a pan that will fit the pork roast, and drizzle in a little olive oil, just to prevent sticking. 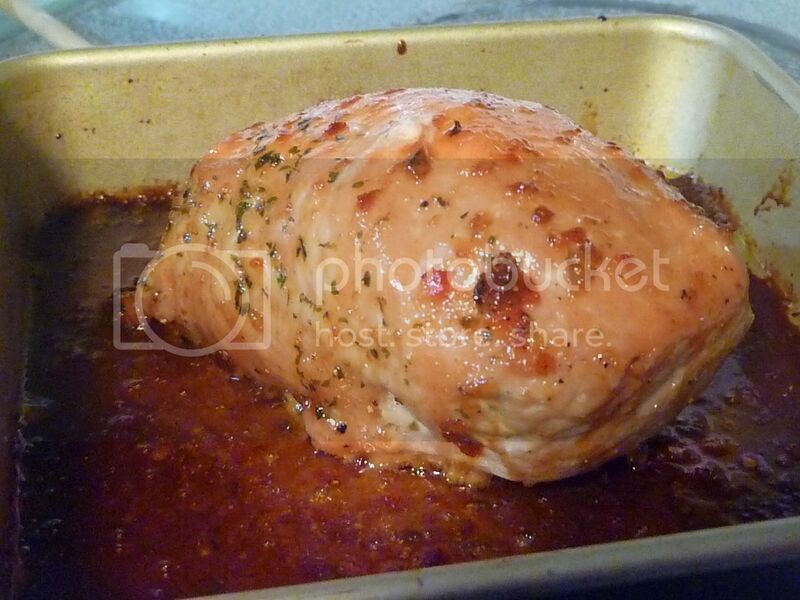 Set the pork roast in the pan, and pour the glaze over the top. Pour in all the glaze. Then put the pork in the oven. Roast in a 350F oven for an hour and a half. 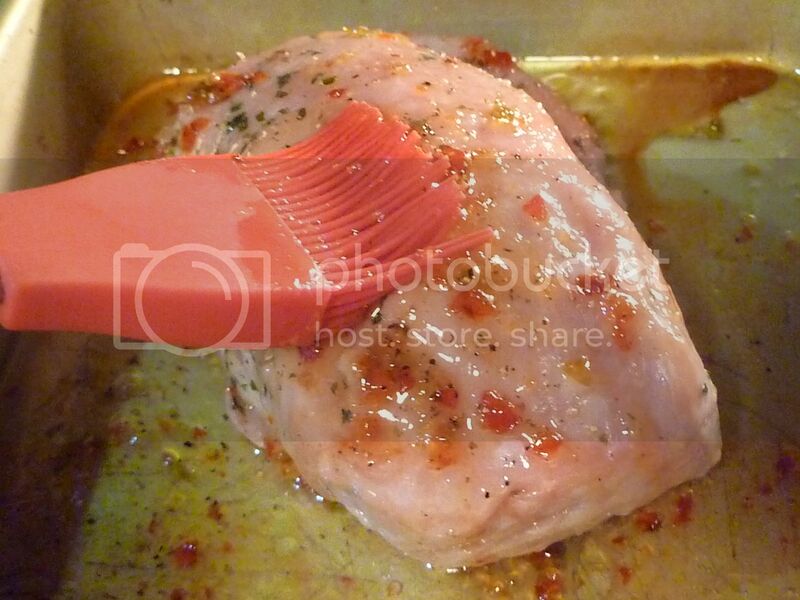 Every 30 minutes, open the oven and baste the roast with the glaze. After the cooking time is up, let the roast rest before cutting into it. Serve with the glaze drizzled over the top. You'll find you've got a nice, tender roast, with a sweet-and-sour glaze over the top. Try it with roasted potatoes and steamed vegetables. Your family will go crazy! 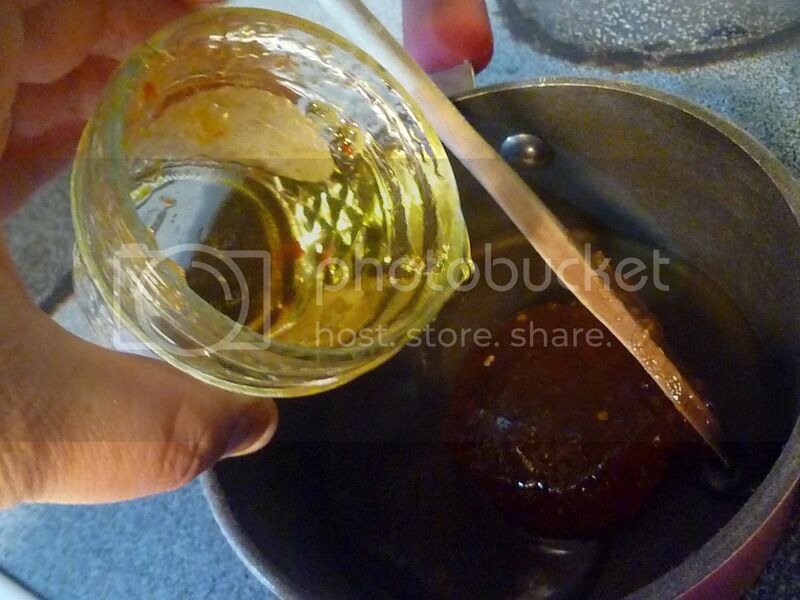 In a small sauce pot, combine pepper jelly, cider vinegar, and cider. 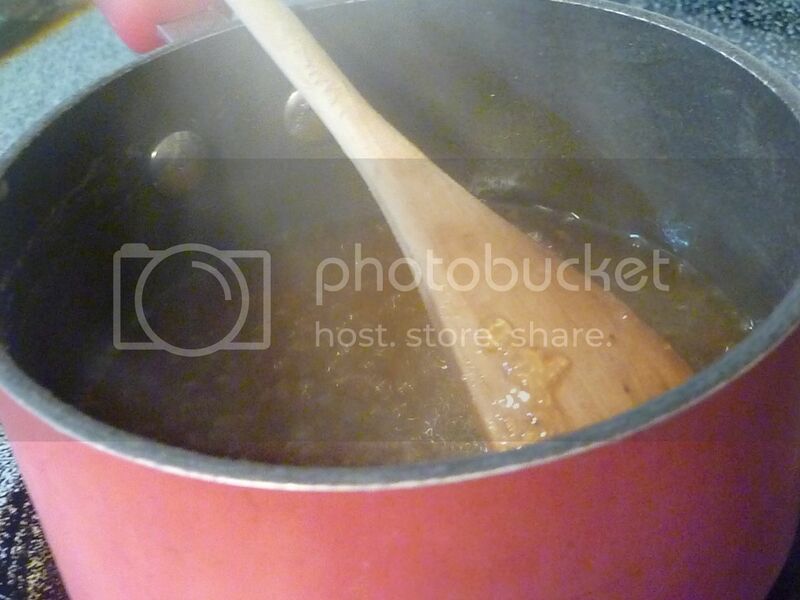 Heat to boiling, and let boil for 3-5 minutes. Remove from heat. 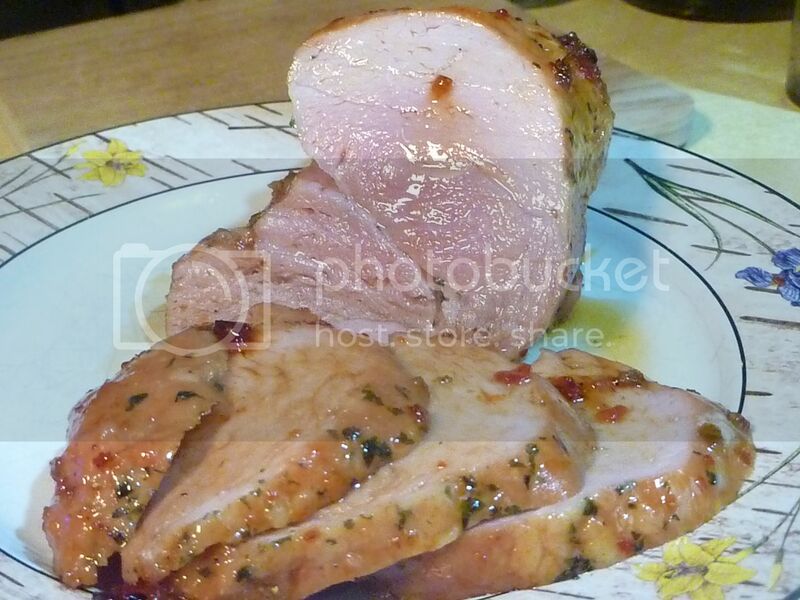 Place pork in a lightly-greased pan. Drizzle pepper jelly mixture over the top. 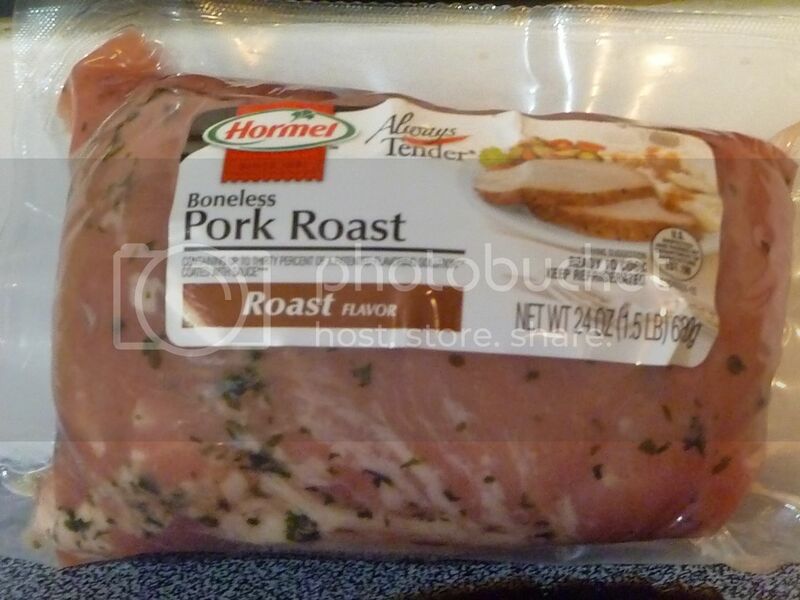 Roast pork in a 350F oven for an hour and a half, basting every 30 minutes. Let rest before serving.